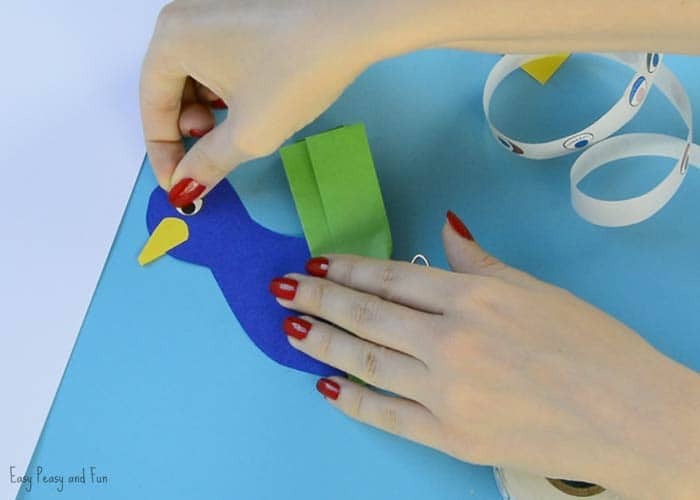 We have another wonderful pop up card to share with you, this time we are making a really simple peacock pop up card paper craft. 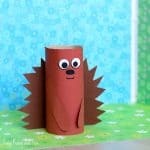 This pop up card doesn’t require much skill so it’s perfect for younger kids to make as they can easily make it on their own. 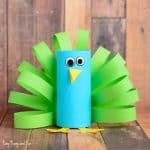 We shared a ton of peacock craft ideas already and quite a few pop up cards too. 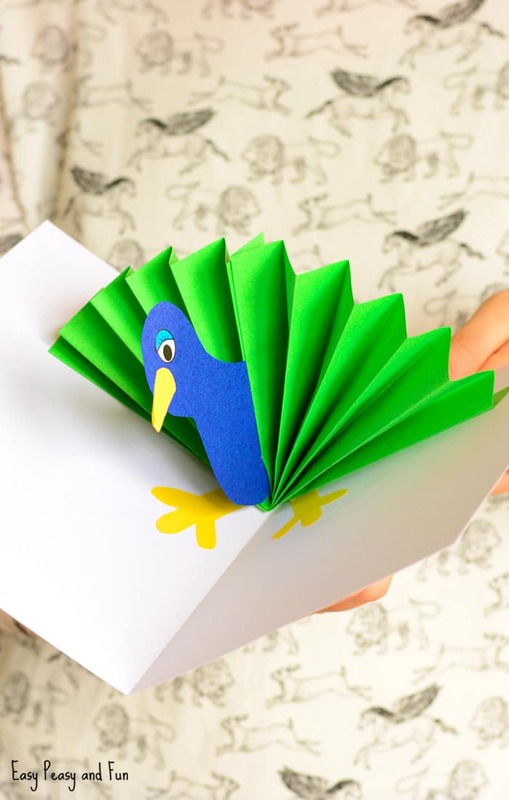 In order to make the peacock tail we need to fold the paper in an accordion manner. It’s best to make the folds as crisp as possible so do score them as you go – we just use a craft stick to do it. Fold all the way to the end of the sheet. Fold in half. 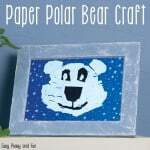 Slip a sheet of blue paper in the middle. Draw an outline of your peacock. 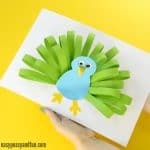 Cut out the body of your peacock. 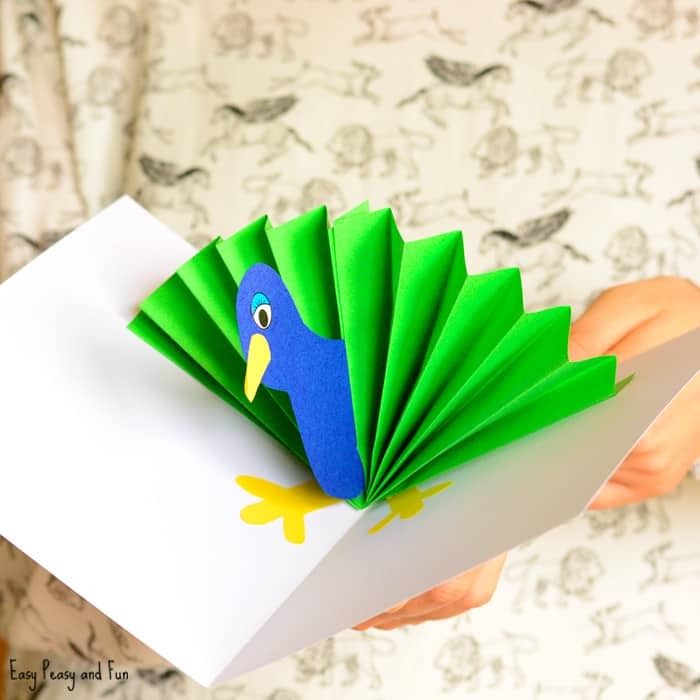 Glue the body of the peacock on the folded paper as shown on the image below. 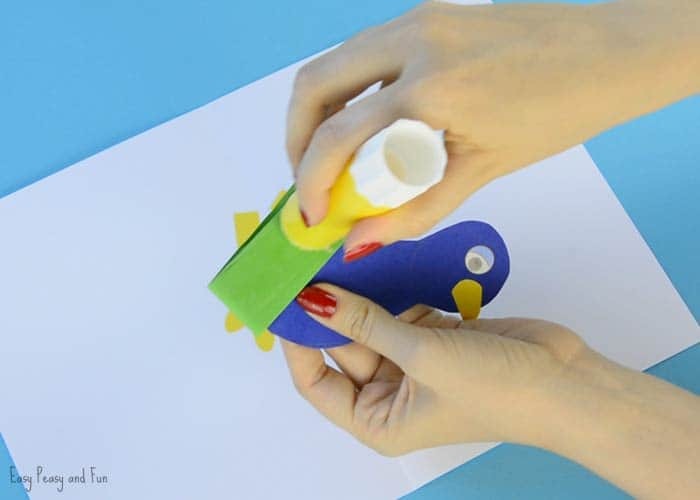 Apply glue on the other half of the folded paper, fold together (with the peacock body inside) and press together firmly for the glue to set (we used a clip). 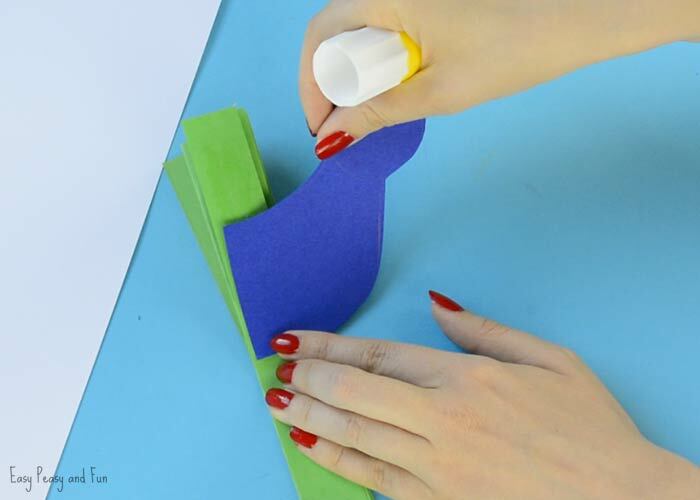 Cut out a beak out of yellow paper and glue it on the head. Draw eyes (or use wiggle eye stickers). 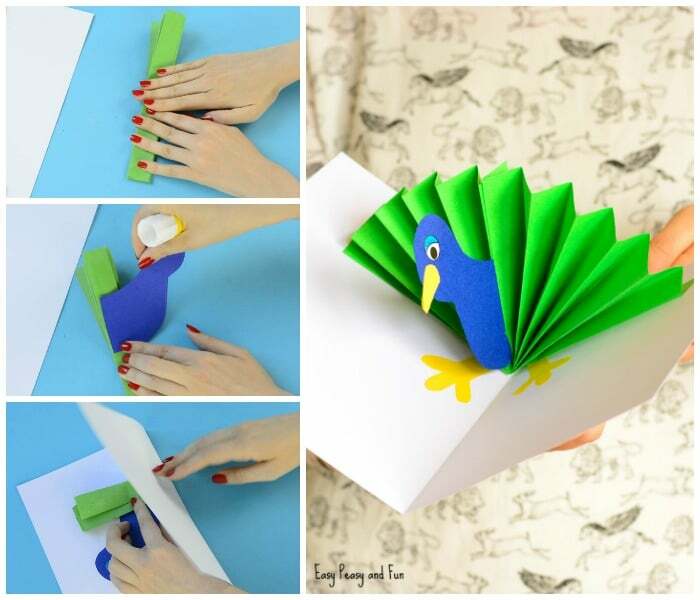 Fold a sheet of paper in half. 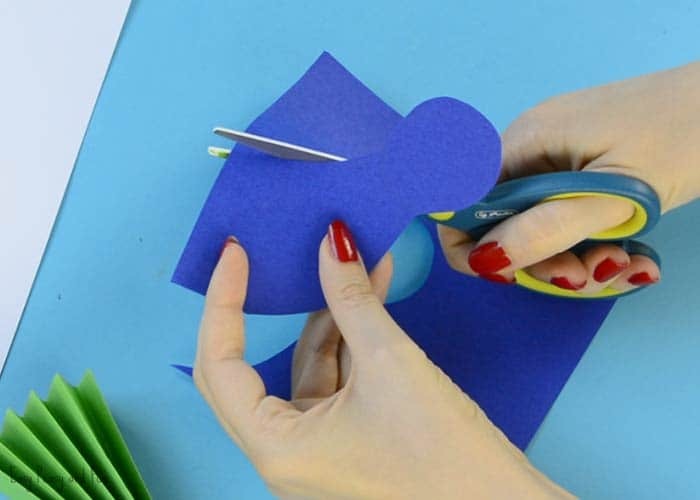 Cut peacock legs out of yellow paper and glue them on the paper as show on the picture bellow. 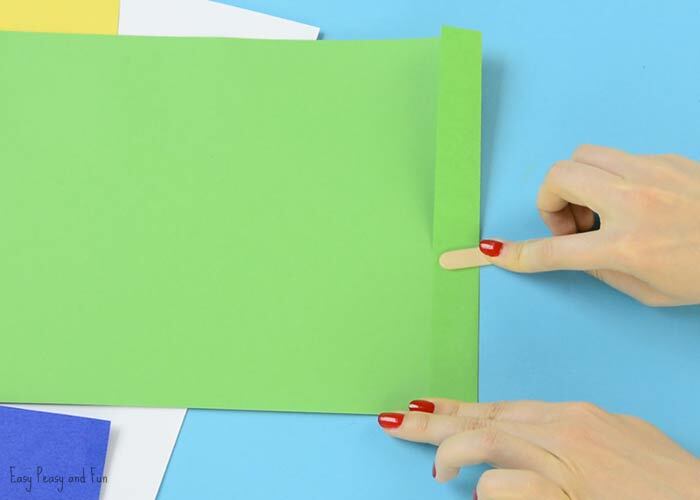 Apply glue on the folded green paper. Glue it inside the folded paper. Your peacock pop up card is complete.